David Petrocco at his farm in Greeley, Colorado. He says the guestworker program should prioritize U.S. workers but also be fair to farmers and foreign laborers. Created in 1952, the seasonal worker program is intended to help farmers facing local labor shortages. In 2017, more than 200,000 guestworkers, mostly from Mexico, came to the U.S. on an H-2A visas — a nearly 15 percent increase from the previous year, according to the U.S. Department of Labor. 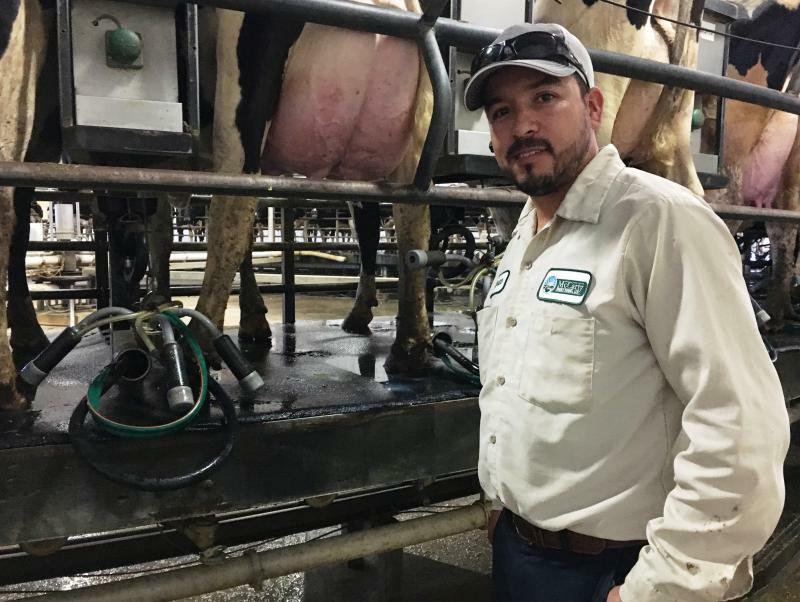 The conservative immigration bill, which was defeated 231-193, would have allowed visa-holders to work year-round and in a wider number of industries, including dairy and meatpacking. While the visa changes had support from some Republicans and the American Farm Bureau federation, many farmworker groups opposed them because of verification requirements and a cap on visas at 450,000 per year. The U.S. Department of Agriculture estimates there are 2.5 million agricultural workers in the U.S.
“There’s never been a cap on H-2A and … it’s not fair to the (agriculture) producer,” said Colorado vegetable farmer David Petrocco. Petrucco first hired guestworkers in 2008. Since then, he said, local labor shortages have grown more severe and he’s had to increase the number of guestworkers on his farm. He said access to labor is vital to farmers who risk losing crops when there aren’t enough workers to harvest them. But the visa changes may not dead. Marshall said he hopes another bill that addresses the guestworker visa will be introduced next month. Thursday’s vote on the conservative bil; led to a delay on the so-called compromise immigration legislation, which is now scheduled for a House vote Friday.